Field to Cup has provided me with the March Adventurer Box for the purposes of providing an honest review. 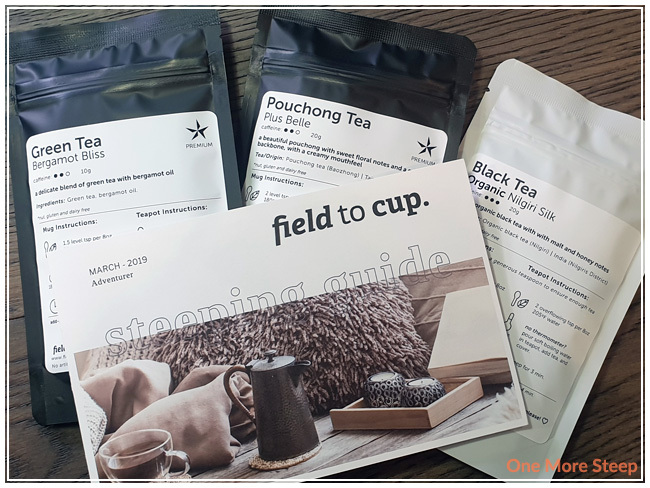 I wrote a bit about how the Field to Cup subscription boxes work (multi-month options, different tea options) in my review of their February Adventurer Box. I’m so pleased to be sharing my review of the March Adventurer Box with you all. 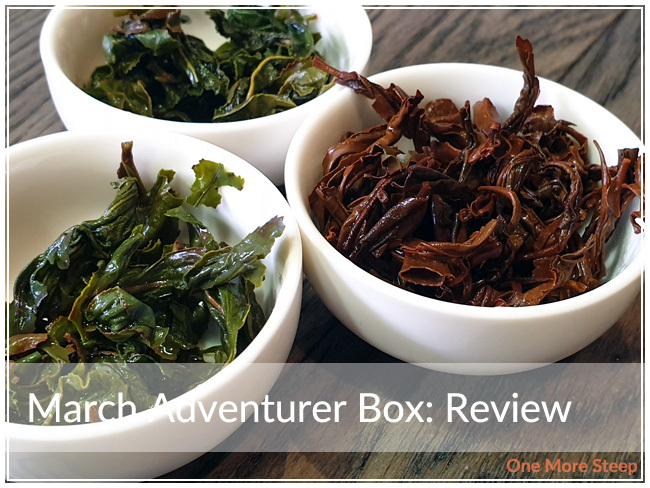 Again, the Adventurer Box is geared towards fans of primarily traditional tea types, and have at least four teas per box. The March box contains five teas – four of which are labelled as premium teas and one is the ‘extra’ bonus tea for the month. Each tea comes in a sealed, resealable foil pouch with a black and white label on the front that includes steeping instructions, resteeping instructions, ingredients, and flavour notes. 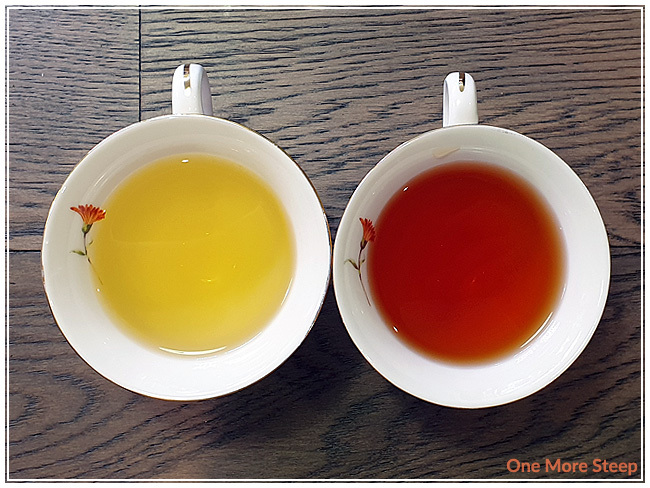 The first three are: Bergamot Bliss (green tea), Plus Belle (pouchong tea), and Organic Nilgiri Silk (black tea). I found Bergamot Bliss to be very rich in bergamot aroma, it’s very bright and inviting and reminds me a lot of an Earl Grey. Because of the strength of the bergamot, I can’t really make out the aroma of the green tea base. This green tea blend consists of green tea and bergamot oil. For Plus Belle, a pouchong tea (which – an internet search told me – is fairly close to an oolong tea), this is a Taiwanese tea from Nantou County. The leaves are bright and green with a mild grassy aroma to it. Organic Nilgiri Silk has some light malty notes, coupled with the dark wiry leaves. The tea itself is an organic black tea from the Nilgiris District in India. From left to right: Bergamot Bliss, Plus Belle, Organic Nilgiri Silk. 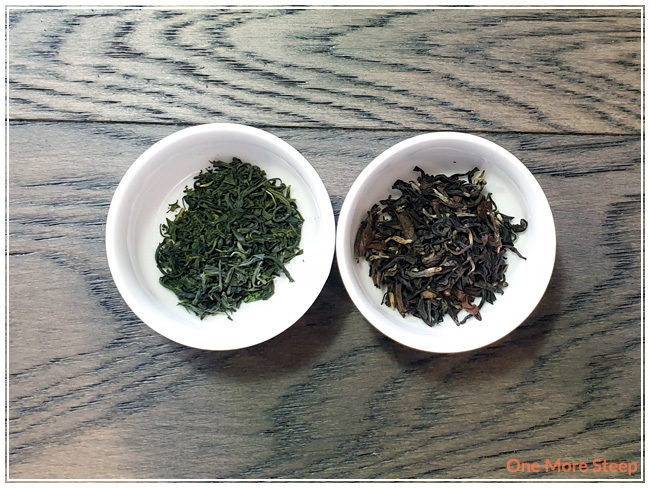 The next two teas in the box are: Organic Green Jewel (green tea) and Formosa Bai Hao (oolong tea). Organic Green Jewel consists of a fine green leaves – they were quite small and coated my teaspoon due to the static electricity. There’s a light salty aroma to it. The tasting notes mentioned a lime zest, but I don’t really get that from the dry leaf. Formosa Bai Hao has a mix of dark brown, reddish brown, and pale brown wiry leaves. The aroma of the dry leaf is mostly that of a honeyed floral aroma. 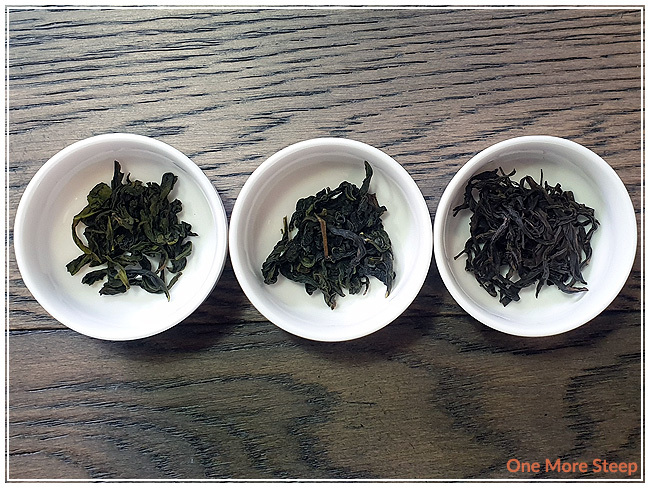 From left to right: Organic Green Jewel, Formosa Bai Hao. Bergamot Bliss is recommended to steep in 180°F (82°C) water for 3 minutes. My initial steep was in 175°F (79°C) water for 3 minutes. Plus Belle is recommended to steep in 180°F (82°C) water for 3 minutes. My initial steep was in 175°F (79°C) water for 3 minutes. Organic Nilgiri Silk is recommended to steep in 205°F (96°C) water for 4 minutes. My initial steep was in 200°F (93°C) water for 4 minutes. Organic Green Jewel is recommended to steep in 170°F (77°C) water for 2 minutes. My initial steep was in 175°F (79°C) water for 2 minutes. Formosa Bai Hao is recommended to steep in 205°F (96°C) water for 3 minutes. My initial steep was in 200°F (93°C) water for 3 minutes. Bergamot Bliss steeps to a light green-yellow with a surprisingly not overpowering aroma of bergamot from the steeped tea. There’s something inviting about the citrus notes that make me think that this may be nice as an ice tea. I found that the bergamot flavour is nice and citrusy and balances well with the light grassy notes from the green tea. Plus Belle steeps to a pale yellow. There is mix of floral and grassy flavours in the aroma of this tea. I found the taste to be sweet, with hints of floral and grassy flavour, as well as a light buttery cream in the background. Overall, I found this tea to be very smooth and easy to drink. Organic Nilgiri Silk has a golden reddish orange colour, with a sweet aroma to it. The flavour is primarily sweet honeyed notes, with a malty flavour that almost has a bit of a yeasty quality to it – if you’re a baker, you may know what I mean. There’s a nice robustness to the flavour. Organic Green Jewel has a bright yellow colour. I found that the aroma is salty and grassy, while the flavour of this green tea has hints of salt, grassy/vegetal flavours, as well as a bit of lime in the steeped tea. The lime surprised me a bit since I didn’t really get that from the dry tea or even from the steeped tea, until I tasted it! It adds a burst of freshness to the flavour profile. 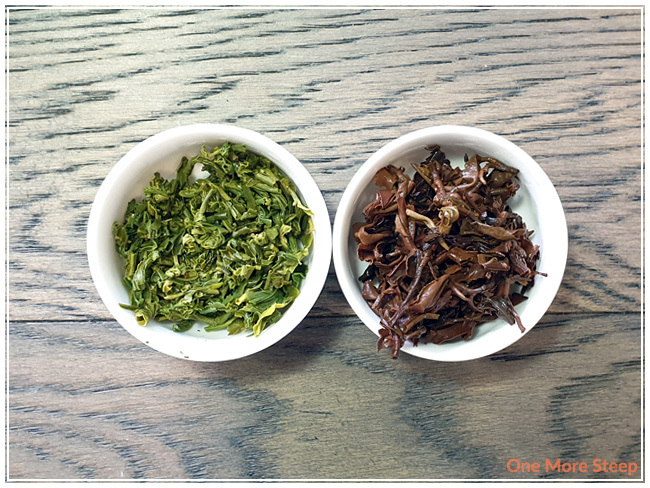 Formosa Bai Hao steeps to an orange brown. The darkness in the colour reflects the deep honeyed notes well, along with the floral sweetness and some dried apricot flavours. It’s quite pleasant, and I feel like it would pair well with a savoury dish. Bergamot Bliss resteeped well, I did it twice and found that the bergamot was still very much present with each steep. Plus Belle was resteeped three times and I found it to be still light and almost delicate tasting throughout. It remained nicely sweet and floral with each steep. Organic Nilgiri Silk was resteeped twice, I found that the first resteep was much closer to the initial steep than the second steep – the deep malty notes weren’t as strong for the second resteep. 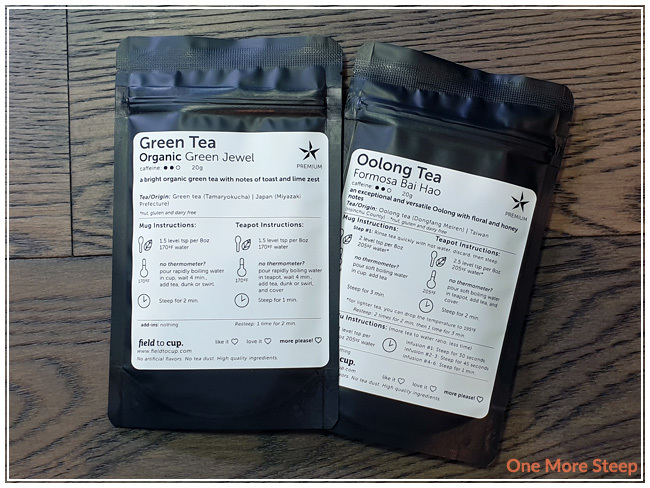 Organic Green Jewel was resteeped twice and I found the flavour weakened a little bit with each steep, but that little burst of lime freshness was still in the tea throughout each steep. 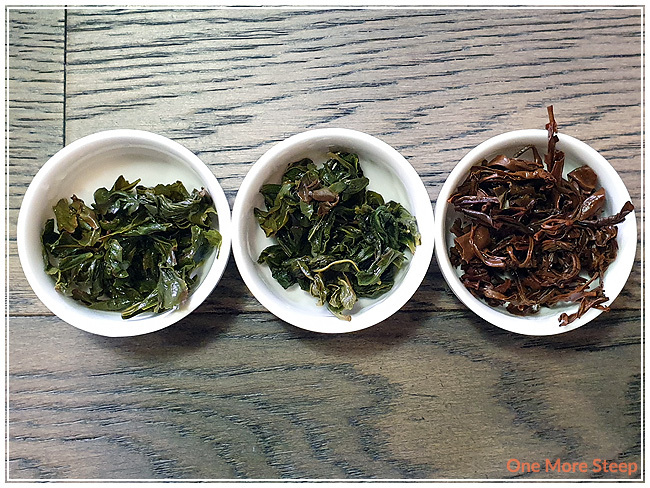 Formosa Bai Hao was the real resteeping winner in this box – I did four resteeps and found that the flavour stayed pretty consistent throughout and was tasty through each steep of the same leaves. I loved Field to Cup’s March Adventurer Box. I really enjoyed the variety of teas, and learned a little something about pouchong tea. My favourites in this month’s box would have to be the Bergamot Bliss, Plus Belle, and Formosa Bai Hao. I really enjoyed trying each tea and tasting the flavours mentioned in the tasting notes. Formosa Bai Hao aka Oriental Beauty is one of my favorite teas! It’s so good! 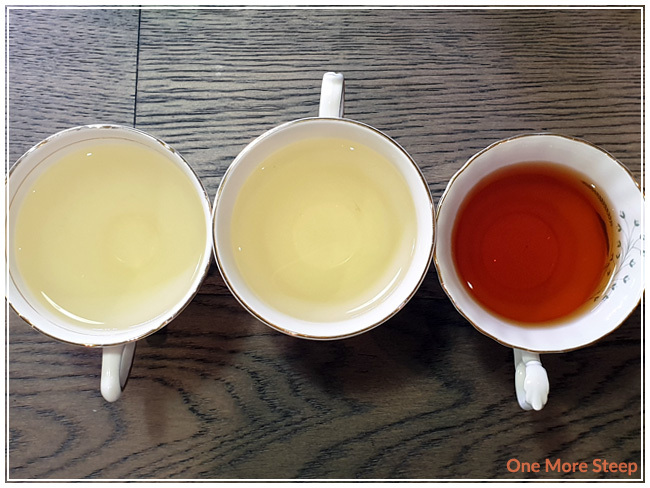 Oriental Beauty is one of the first oolongs that I ever tried (and it got me hooked! ).